Sometimes you hear people say, "I don't vote because it won't make a difference". Well, at last month's Club Meeting we held the election for Flint Captain and it resulted in a tie. Twenty-two votes for each Candidate. We will have another vote at our March Club Meeting. The Flint Captain runs the Scalps and Skins 3-D Tournament. Voting must be in person at the meeting. You can vote as early as 6:30 pm and voting will close at 8:30 pm. The rain has caused quite a few problems out on the range and we don't want or need any members on the roads when they are wet and muddy. If you have a target assignment on the Mountain Range, you may need to walk instead of driving to the target to work on it. 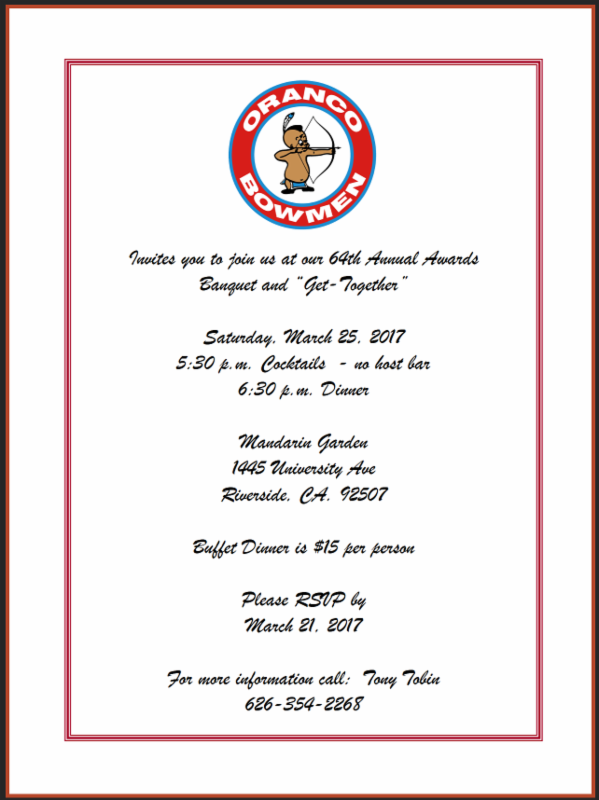 The Club Champ Shoot and the Annual Club Banquet are coming up in March so please mark your calendars for both. Oranco Bowmen will be hosting the CBH-SAA State Field Tournament again this year on June 10th and 11th. By the time this comes out, the Broadhead Shoot should be finalized and will be at the Tejon Ranch. In my opinion, this is the best tournament in the state, 42 3-D targets, 2 days in a row with broadheads and a chance to be a State Champion and have a lot of fun. As usual, it will be on Memorial Day Weekend, May 27th and 28th. Watch our website for the flyer to appear and be sure to register early to save $10.00. I missed the Rendezvous Shoot this year because I was at the Vegas Shoot, which just keeps growing and growing. They experienced a record turnout with over 3,500 shooters and they had more vendors than ever before. I heard we had a record turnout for the Rendezvous Shoot and things went well. The work party on Saturday had a good turnout and everything was done before lunch. A big “Thank You” to the Saturday crew members and to the Sunday cook shack workers. The Big Game Shoot will be on April 9th and that will be your last chance to earn work party credits towards next year's dues. So, mark your calendars for the shoot and for the Saturday work party. A reminder to all our range and target assignment workers, this rain is making the grass and the weeds grow very fast, so please keep up the maintenance on your assignment as your next year's dues depend on it. As of January 1st 2017, the Public Shoot Fees have increased to $14 for Head of Household and $6 for any additional Family Members. Family shoot fees have increased to $26. We have two members running for the Board position of Flint Captain (that is the person in charge of running our Scalps and Skins competition). At the meeting on February 14th, we had a large turnout (44 members) to vote, and it ended in a dead tie. Please take the time to come out and vote at our next Club Meeting on March 14th. Come on out and show your support for one of these guys. If you don’t want to stay for the meeting, we will have it set up so you can get a ballot, vote, and leave right away if you choose to do so. Due to the fact that there was a tie vote at the February Club Meeting, there will be another Election for the Flint Captain position held on Tuesday, March 14, 2017. Voting will take place during the March Club Meeting. You can cast your votes starting at 6:30 pm and voting will end at 8:30 pm. MEMBERS MUST BE PRESENT TO VOTE. Can't stay for the entire Meeting? No problem. Show up, sign in, vote, and leave. This is your chance to make your voice heard. The Oranco Board Members appreciate your support. Good afternoon and I hope this report finds the group well. Not a lot to report this time around. As previously reported, we had a great Rendezvous shoot and now look forward to the Big Game shoot in April. It would be great if we could get the same kind of work party participation as we had during the month of February. If you are looking for ways to get involved and work off your dues, then come on out! Be ready for the Scalps and Skins season beginning next weekend! Scalps and Skins seems to be a point of great discussion lately so let’s get out and support this shoot one way or the other. As many of you know, we had an actual election at our last Club Meeting and the Flint Captain position is still in play. If we are all that concerned about Scalps and Skins, then let’s get out and be a part of it. March is the Club Championship month so let’s all get out to the range and show our support for this great event. We will shoot 14-14-14 on the 2 Field ranges and the winners will be awarded at the Club Awards Banquet on March 25th. This has always been a great event, but attendance continues to dwindle. It’s a great warm up for the State Field in June so come on out and have some fun with other Club Members and learn how to shoot a field round. Finally, and most importantly, for all of those with Range Assignments, get out to the range and get your areas cleaned up. The rain has really got the weeds and grass growing and we need to get the targets cleaned up. Most of the targets are barely even shoot-able and I will need them to be cleaned up for the Champ Shoot. I will be calling many of you individually as some lanes are worse than others. No rain for the last 5 years has made the Target Assignments easy…now the work begins. Guys, we absolutely must get out there and clean up the target lanes NO EXCUSES! GET ON IT!! As always, I thank all of you for your continued participation and I hope you are enjoying the Club. Thanks for all you do, and I will see all of you out at the range real soon. This year should be a good year at BIG BEAR and LAKE ELSINORE for a Carp Shoot. You can shoot Carp and Goldfish only. A good time of the year to go is from May – July. During these months, the fish spawn in the shallow water. You will need a California fishing license. Please be careful out on the range and keep an eye out for Rattlesnakes. They will sometimes wash down from the mountains into our creek bed when we have a lot of rain. If you see one, kill it. However, please make sure it is a Rattlesnake. March 4th, will be the first Scalps and Skins shoot. I will have 24 targets out. New this year, will be the Youth stakes. We will have Cub stakes in yellow for kids under 11, Youth stakes in blue for the longer shots (longbow shooters may choose the option to use the blue stakes for the long shots), and then the regular Adult stakes in orange. I will have a fun bonus shot at each shoot worth 20 points as an option. Don't forget to fill out your scorecards correctly so I know what class you are in. For anyone who wants to start shooting early, I will be setting up to start at 7 am. If you are interested in work party credits, you may stay and help pick up targets at the end of the shoot. Thank you in advance to everyone for coming out and supporting me with these shoots. If you have any ideas or thoughts you would like to see please let me know. Joe said the Vegas shoot was great, they had over 3,500 archers turnout. Pete mentioned the Rendezvous Shoot went very well. We were up 22 shooters from last year. We had 18 people show up for the last work party. THANK YOU to ALL of our Volunteers. This Rendezvous Shoot had a smaller / closer setup, which worked well. This year we had a Clout, which also seemed to go over pretty well. There was someone that ended up putting an arrow into his leg over at the Practice Butts. Rumor has it that alcohol may have been a contributing factor to the incident. Please be careful. Our next shoot will be the first Scalps and Skins shoot on March 4th. It was mentioned that not only did we have a great turnout for the last work party, we also had a great turnout for the shoot party. Chriss will be calling Members with Target Assignments to confirm their commitments for 2017. Someone drove their truck down into the bowl and tore up the roads. Please do not drive on the range when it is wet or muddy. It causes too much damage and it is unsafe. Chriss will be ordering Carpet Bales in the next month or so. If you are interested in ordering one for your own personal use, please let him know. 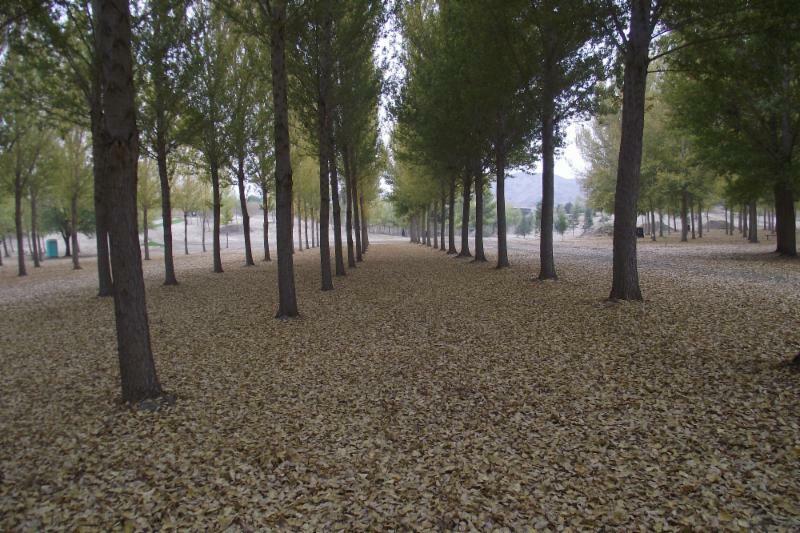 Estimated cost for a new bale is about $500. It will last you a really long time if you take care of it. The State Field will be coming up on June 10th & 11th. Please put out the word to come out and shoot it. Participation has been declining over the past couple of years. Bill mentioned that the are a lot of Rattlesnakes up in the hills that could potentially be washed down onto the range with the heavy rains we have experienced. You need to be aware of your surroundings. 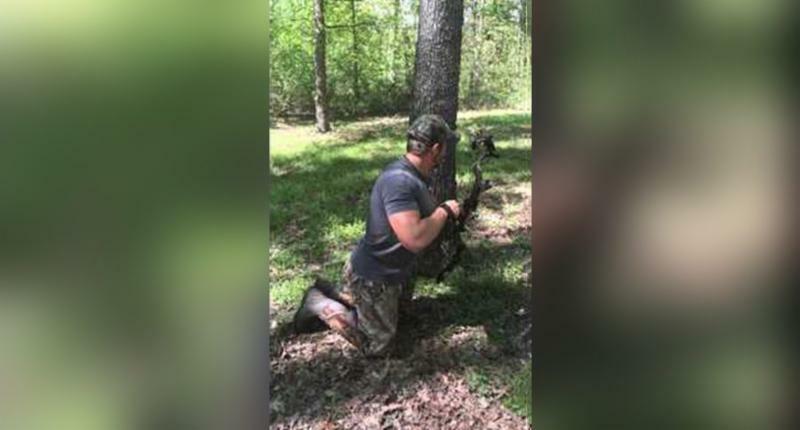 If you see a Rattlesnake on the range, kill it. However, please make sure it is a Rattlesnake. Bowfishing for Carp should be good at Big Bear and Lake Elsinore this year due to the increased water levels. Pig Hunting should be good this year as well. For more information, see Bill's Newsletter article. This year, Oranco women will have their own Bowhunter of the Year Award category. Membership Chairman mentioned that we are currently at 389 Members. One Member mentioned that he and several other Members that he knows who are also active CBH Members have not received the new gate combination. The Membership Chairman stated that if she does not have a current copy of a Member's CBH / NFAA card she will not send out the combination. If you happen to fall into this category, please take a picture of your current CBH / NFAA card with your phone and email it to her at: Membership Chairman or you can drop it off at the Club House, or you can leave it in the mailbox. The Champ Shoot on March 12th is like a mini State Field Shoot, utilizing 14 Field / 14 Hunter / 14 Animal vs. 28 Field / 28 Hunter / 28 Animal. The Champ Shoot will help to prepare you for the State Field. Another Member suggested that due to the fact that a lot of the Members have not received their new combinations, that perhaps we should grandfather everyone in until the June renewal cycle until we can get these issues resolved. The Member suggested that it would make the Membership Chairman's job a little easier between now and then. The Membership Chairman has chosen to continue the Membership process she currently has in place. She feels that changing it would result in a lot more work. She mentioned that she would prefer to receive the CBH / NFAA cards via email. Once she receives the Member's email with a copy of his or her current card, she will respond with the Gate Combination. The Scalps and Skins shoot that was originally scheduled for June 10th has been cancelled and will need to be rescheduled for another date as the State Field in on June 10th and 11th. Another Member brought up the issue again of wanting to either drive a quad or scooter out on the range. He had a letter that he requested that the Board present to the Club's Insurance Carrier. A thorough discussion was had. The Board voiced major concerns revolving around the liability that would be placed upon each of the Board Members individually in the event of a serious accident. Not to mention Insurance concerns, Parks & Recreations concerns, and Corp of Engineers concerns. Plus, there is also a concern that if the Board allows one Member to drive a quad or scooter they would have to let other Members drive a quad or scooter. Joe has checked with other Clubs and they do not allow Members to drive quads or scooters on their ranges. The Board Members are unwilling to take on the additional personal liability at this time. Another Member Guest suggested in light of the recent accident that occurred on the range where the shooter injured his leg that the Club should purchase a decent First Aid Kit that is kept outside in the event of an accident or injury. She also suggested that the Club purchase an AED Defibrillator for the Club. AED = Automated External Defibrillator. The Board agreed to have the Member do some research on the pricing for the First Aid Kit and supplies and two AED Defibrillators and to have her present her findings at the March Club Meeting. Jason discussed some pricing that he received for different sized piping for the drainage tunnel project the Club is working on. David mentioned that his Brother-in-Law may have the piping we need that he might be able to donate to the Club. Our Club Secretary is also going to be checking on the price he can get the materials for. The Board approved a motion to purchase the materials needed and will wait for the other two quotes to come in. The same Member who suggested the medical supplies earlier also stated that she is a Certified First Aid Instructor and offered to hold a class. The Board approved a motion to purchased more road grade gravel to continue the work on the mountain roads. Joe brought in some new targets he picked up at the Vegas Shoot that the Board has tasked to the Thursday Archers in order to test out their durability. Joe also suggested that the Thursday Archers should come out on Tuesday instead so they could make the Club Meetings. HA! The Corps of Engineers returned Joe's call and they have approved our lease for 5 years, with (two) five year extensions (optional). The lease starts from the date it is signed. A lady who teaches Archery Classes Levels 1-3 dropped of some brochures to the Club House. Stop by and pick one up if you are interested. The second half of the By-Laws Meeting is scheduled for Saturday, March 18th, 2017 @ 3:00 pm. There was a suggestion that the Club Newsletter needed to be proofread by the Board Members prior to it being sent out with things that are untrue to our Club Members. There was a discussion in regards to the accuracy of the Newsletter and how it should be handled in the future. After explaining the process of actually putting out the Newsletter via email and also via regular mail it was decided the Newsletter process will continue as it has for the past 15 months. In my defense folks, I do not make things up. I get the Newsletter Articles from the Board Members in 10 different formats. I standardize the format, the wording (Club vs. club or Member vs. member), the font type and size. I help out with any spelling or grammar errors that I can find...."And That's All Folks..." I do try to add extra content to fill in the Newsletter in the form of any interesting articles I come across and pictures. My section comes straight from the monthly Club Meetings that I attend so that I can take notes for our Club Members. If anyone has any suggestions. Please let me know. Throughout the entire meeting, we had Club Members showing up, signing in, and casting their votes for the Flint Captain position. Some Members stayed for the results and other Members cast their votes and then left. The format will be the same for the March 14th Club Meeting. You just need to show up, sign in, vote, and you can either stay or leave. Please come out and show your support for Jason Duysings and David Bacon. Voting will be from 6:30 pm - 8:30 pm. I would like to take a moment to thank all the Oranco Members who came out on Valentine’s Day to participate in our Club Election. I believe it was the best attended Club Meeting in recent history. As many of you know, the vote resulted in a tie. So, we are having another vote being held at our March 14th Club Meeting. The record turnout we had is a good indication of how important this issue this is to our Club. I encourage all Oranco Members to attend the March 14th meeting and let your voice be heard. Thank you and I am asking for your support. My name is David Bacon and I am running for the Flint Captain position at our Club. 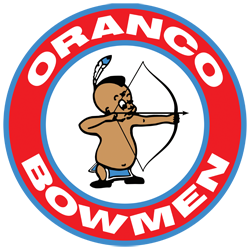 I have been an Oranco Bowmen member in good standing since May 2012. Shortly after I joined, I volunteered to help our Vice President, Pete Whitworth with the scoring of our Club Tournaments. I also personally wrote and donated the proprietary software we use for scoring our Club Events and managing our Membership Roster. In 2013, I received the Henry Poteet Memorial Award for Outstanding Attendance at Club Functions from the Board of Directors. In 2014, I was asked by that same Board of Directors to build and manage a new Oranco Bowmen Club Website, Email Broadcast, and Newsletter System. This has allowed us to send out important information quickly with our Email Blasts and deliver our Monthly Newsletter directly to our Club Members’ inboxes. In 2016, I re-wrote our Club’s Website to make it more mobile friendly and continue to manage it at no charge to the Club. In Summary, since 2012, I have volunteered at more than 40 Club Events including the State Target, State Field, and many of the Educational Programs for the Boy Scouts with various other Clubs. The Flint Captain shall be responsible for the Scalps and Skin shoots. This includes the setup, take down, the keeping of adequate records and awarding the prizes at the Banquet. He shall render a monthly report during the time of the Scalps and Skins Shoots to the Board of Directors. He may have other duties to conduct the program or that may from time to time be prescribed by the Board of Directors. Our Club’s Website describes it as a casual mini 3-D made up of twelve 3-D targets having two different shooting stakes set at different distance and angles. It is held on Saturdays between 9:00 am and 12:00 pm during the months of March through July and may contain one Broadhead Optional shoot. This shoot gets its name in part from the tradition of purchasing a "Scalp" (a leather circle about the size of a silver dollar with our Club's logo pressed into it) from the Flint Captain for $1.00, which traditionally has been used as a token for a friendly wager between two or more archers participating in the shoot. The loser is encouraged to sign and surrender their "Scalp" to the winner at the next Monthly Club Meeting. Except for the last two seasons, the Scalps and Skins has held to this tradition. Each Flint Captain has put their own unique spin on the event. For example, there have been shoots with one round of 24 targets or a shoot with a specific theme. However, for the most part it is known as a casual family friendly mini 3-D where there are no targets further than 50 yards. 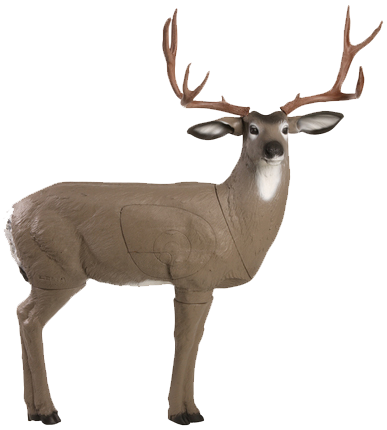 It utilizes smaller 3-D targets placed at realistic distances and settings that usually tends to accommodate the younger or less experienced archer. However, it is my opinion and that of many in our Membership, that the Scalps and Skins has turned into a mini Big Game Shoot and as a result has lost much of its tradition. I believe I am accurate in saying that very few if any "Scalps" have been sold at the shoots or awards presented at the Annual Club Banquet. I have also spoken with some of our previous Flint Captains and have learned that in the past, it was not unusual for there to be between 60 to 100 archers at each shoot with many of them staying for a second go around. I am not saying that it is all about the numbers, however, due to the change in the format, recent years have shown a sharp decline in participation. To put it simply, if you remove the "Scalps" and other traditions attributed to the Scalps and Skins from the shoot, it is no longer the Scalps and Skins. As Flint Captain, I pledge to honor our Club’s tradition and restore the Scalps and Skins to its former glory. To do this I will rely on our Membership and past Flint Captains for advice on proper setup and execution. I also pledge to promote the traditions that make the Scalps and Skins unique and to accurately record and maintain shoot scores so that awards may be presented at the Annual Club Banquet. 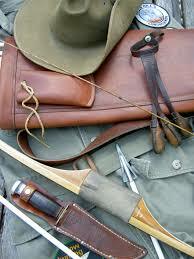 Before you start setting up your hunting bow, take a look to make sure you have everything you need. For those who have been hunting archery for years, it’s simple. You get this, that and you’re all set. For the beginner Bowhunter, what exactly is this and that and how much or how many do you need? Well to make things simpler, we’ve put together the list of items you will need to get you started as a Bowhunter. In working towards making the Club Newsletter more appealing to our Membership, I have been striving to find more interesting content to bring to the Newsletter. One idea that I have heard some of the Board Members mention in the past is having a place where Members could Buy, Sell, and Trade their gently used Archery Equipment. Although I think this is a great idea, the Club WILL NOT assume ANY responsibility for ANY items that may be purchased or sold through this type of venue. ALL responsibility would remain between the Buyer and Seller. This bow hunting tip for turkey is simple but will give you one heck of an advantage if you aren’t hunting from a ground blind. Every hunter knows turkey have incredible eyesight, and any small movement can get you busted. 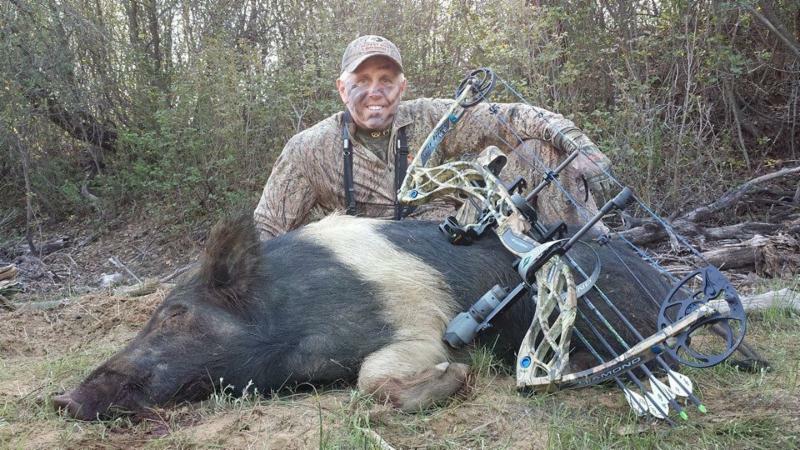 This is what makes archery hunting for them even more challenging. 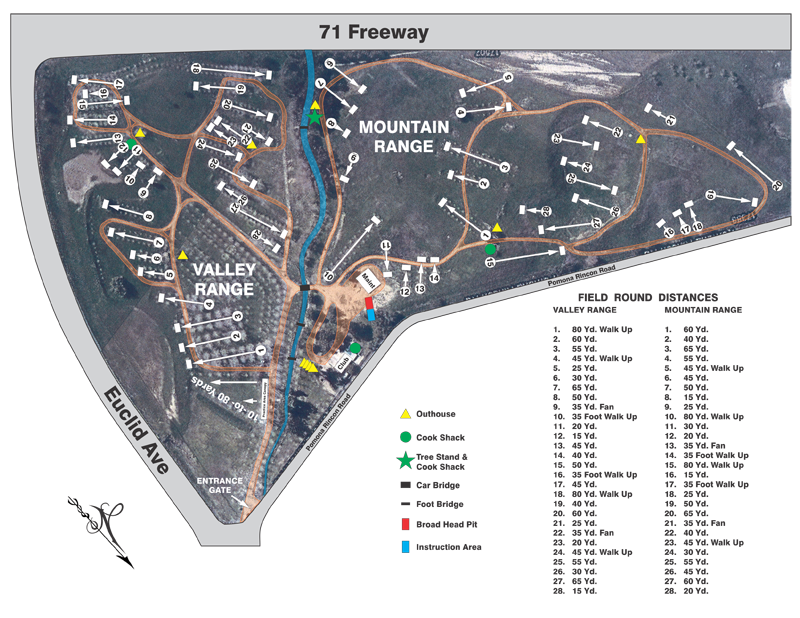 Orange County Archery - New LOCATION!! We are open 6 Days a week, Closed on Mondays. 14 Hunter / 14 Field / 14 Animal Targets.